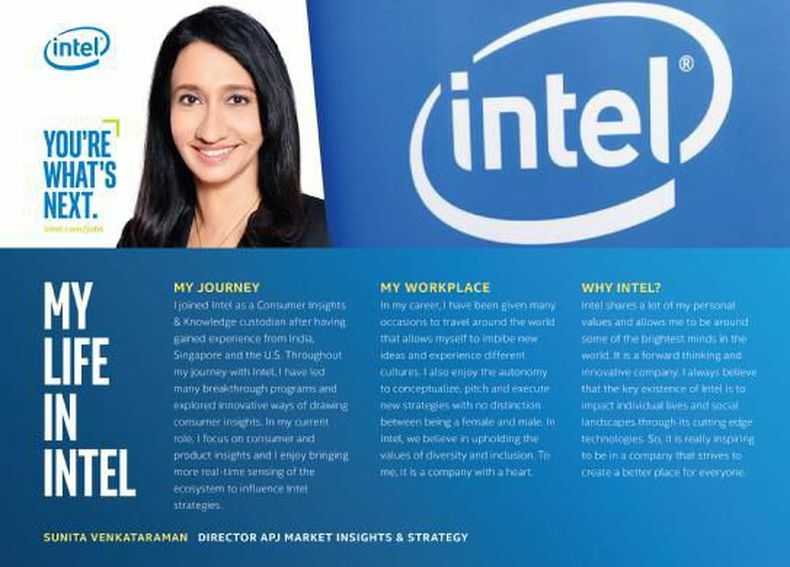 Are you curious to find out how our female leader’s life in Intel Singapore? Sunita Venkataraman is a respected authority on technology consumer insights in the South East Asia region and she has been with us for over a decade. Check out the link below where Sunita shares about her amazing life in Intel and how much she enjoys being with us throughout her journey of excellence. Interested in exploring career opportunities at Intel? Log on here.